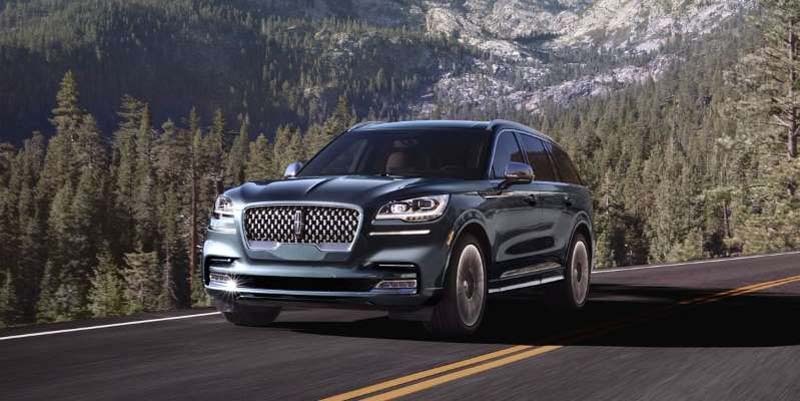 © Lincoln The 2020 Lincoln Aviator is a new mid-size, three-row SUV with an available plug-in-hybrid powertrain, adaptive damping, and more. 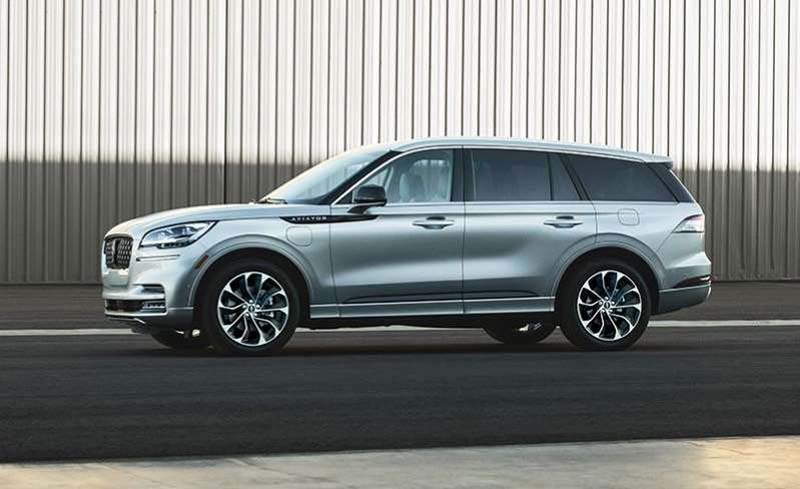 For a start, the new entry deftly scales down the styling of the highly successful Navigator, looking much like the concept version Lincoln displayed at the New York auto show earlier this year. Riding on a brand-new rear-drive architecture (shared with the upcoming new Ford Explorer) that mounts the engine longitudinally, the Aviator has similar proportions, with a shallow front overhang and a relatively long hood. There's even a bit of Range Rover in the way the roofline gently tapers, the pillars are blacked out, and the rocker-panel trim rises slightly toward the rear. The rolling stock ranges from 19 to 21 inches and includes turbine-style designs, as seen on the Navigator. Under the hood, Lincoln will offer a twin-turbocharged 3.0-liter V-6 with 400 horsepower and 400 lb-ft of torque, mated to a 10-speed automatic transmission. Rear- or all-wheel drive will be available with this engine. The step-up powertrain, which adds plug-in-hybrid technology to the mix, is found in the Grand Touring model. With assistance from an electric motor integrated into the 10-speed automatic, total powertrain output is 450 horsepower and 600 lb-ft of torque. The PHEV model offers two additional drive modes: Pure EV and Preserve EV. The former enables electric-only mobility, while the latter conserves the battery (which is located under the floor). Lincoln isn't yet saying how far the Aviator Grand Touring will be able to travel in EV mode, but the chief engineer did acknowledge that the hybrid system is geared more toward enhancing performance than toward providing emissions-free motoring; and even drivers who don't regularly plug in will get the performance benefits. The new chassis includes some trick suspension technology. The most advanced available suspension will incorporate air springs and adaptive dampers. The dampers can adjust to road conditions based on data supplied by a forward-looking camera located behind the rearview mirror, which scans the road ahead. (Regular adaptive dampers without the road-scan feature also will be offered, as will steel coil springs in place of air springs.) The air springs allow for multiple ride heights across a range spanning just over three inches. The lowest is the "welcome" height, to which the car automatically lowers itself when the driver approaches. The highest is for driving through deep snow or standing water. In between is the standard ride height, and a 0.6-inch-lower setting that is activated at 70 mph or when the Excite drive mode is selected. The driver will interact more directly with some other tech features. Lincoln offers the ability to lock or unlock and start the car via smartphone with its Phone as a Key functionality, via the Lincoln Way app. The standard 12.3-inch touchscreen includes Apple CarPlay and Android Auto capability. In addition to the standard CoPilot 360 bundle of driver-assist features, Lincoln will offer CoPilot 360 Plus, which adds traffic-sign recognition (and enables the cruise control to set a new speed in reaction to changing speed limits), traffic jam assist, evasive steering assist, automated braking in reverse, and active park assist. 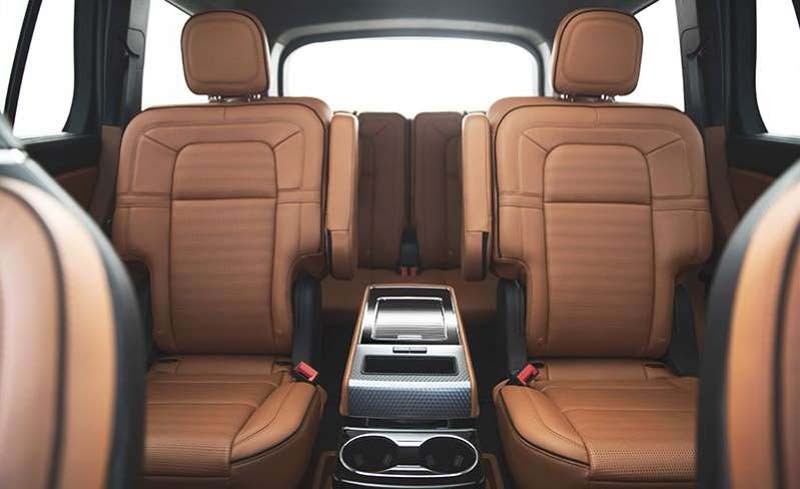 The Aviator interior will be offered in six- or seven-seat configurations. Buyers opting for second-row captain's chairs will have a choice of two different center consoles, one of which allows for easier walk-through to the third-row seats. Lincoln's Perfect Position 30-way power-adjustable front seats are available and add four-way adjustment to the lumbar support. A new, simplified steering wheel features fewer controls, utilizing four-way buttons on both spokes and a voice-activation button at the 10-o'clock position on the steering-wheel rim. Lincoln tapped the Detroit Symphony Orchestra to record musical alerts that replace chimes or buzzers for 25 different notifications. Buyers who are especially musically inclined may want to spring for the top-end Revel audio system, which has 28 speakers (including in the headliner) and technology to unpack the audio details of music that has been digitally compressed. Of course, Lincoln's Black Label interior themes are available here, including Chalet, Destination, and Flight, each of which is a special color and trim combination. Lincoln surely hopes the Aviator itself will take flight once it arrives in showrooms next summer, and clearly, the brand has expended a lot more effort here than it has for any previous offering in this segment.